soffit vent - install from above or below ?? I have a 1x6 soffit board, and am planning on installing vents. Each of these vents are 2 inches wide, excluding the flange. They are not deep at all, maybe 1/4 inch? The flanges are only 1/4 inch on each side. should they be attached to the top of the board (inside) or the bottom of the board (outside)? If attached to the bottom, it won't look so great, but the installation might be a lot easier. The other alternative is to have a precut hole in the soffit, matching the 2" width of the ventilation strip. The vent would sit in the precut hole, and the the flanges would rest on the top of the soffit board. But since the vents aren't as thick as the soffit board, they would be recessed when viewed from below. It seems like a tougher job to do it this way. in new construction, typically i would put a strip of plywood or whatever against the fascia, install the strip vent, and then put the last piece of plywood on. the flanges would go against the bottom of the rafters. i have seen it retrofitted where someone cut a two inch strip and put the vent in upside down. looked pretty bad, though soffits don't get a lot of attention. 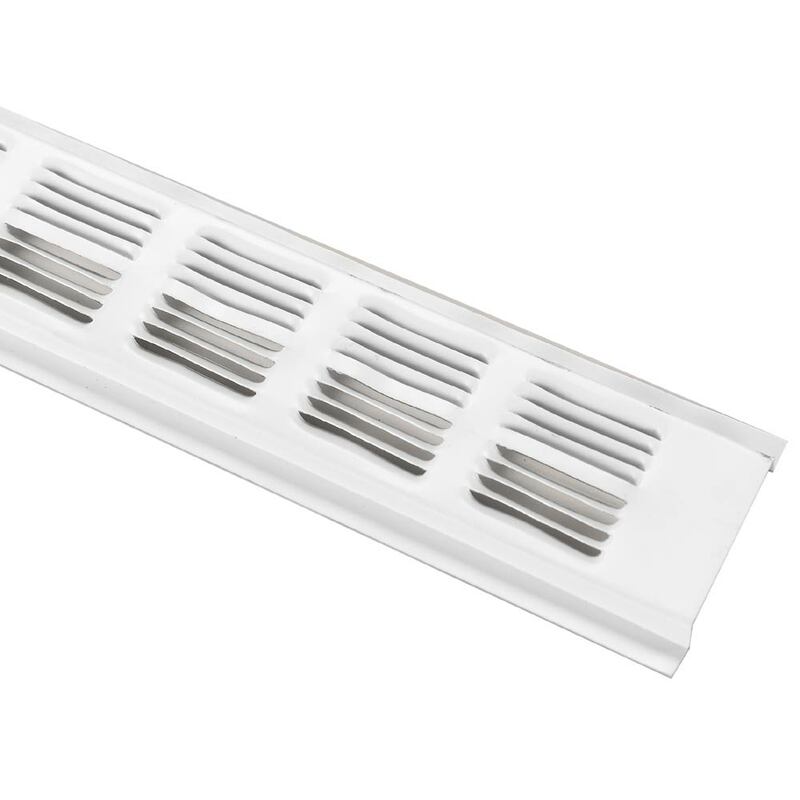 another alternative would be to cut the two inch slot, put the soffit vent on so that the flanges are on the soffit board (below or outside of the board), and then use trim (1x1 or something like that) to along either side. heck, you could cut your slot, put in hardware cloth (spraypaint the cavity black) and then run two strips of trim on either side. i've done that on high end houses. Set fence post in concrete, dirt, or gravel? 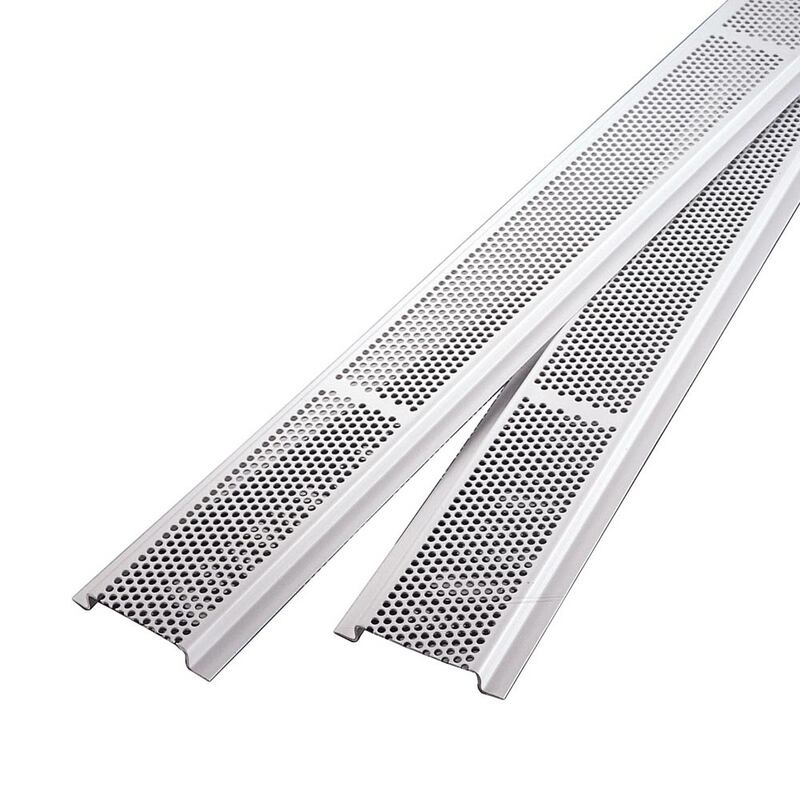 soffit vent screens, how to replace? Could I screw up a ridge vent install?